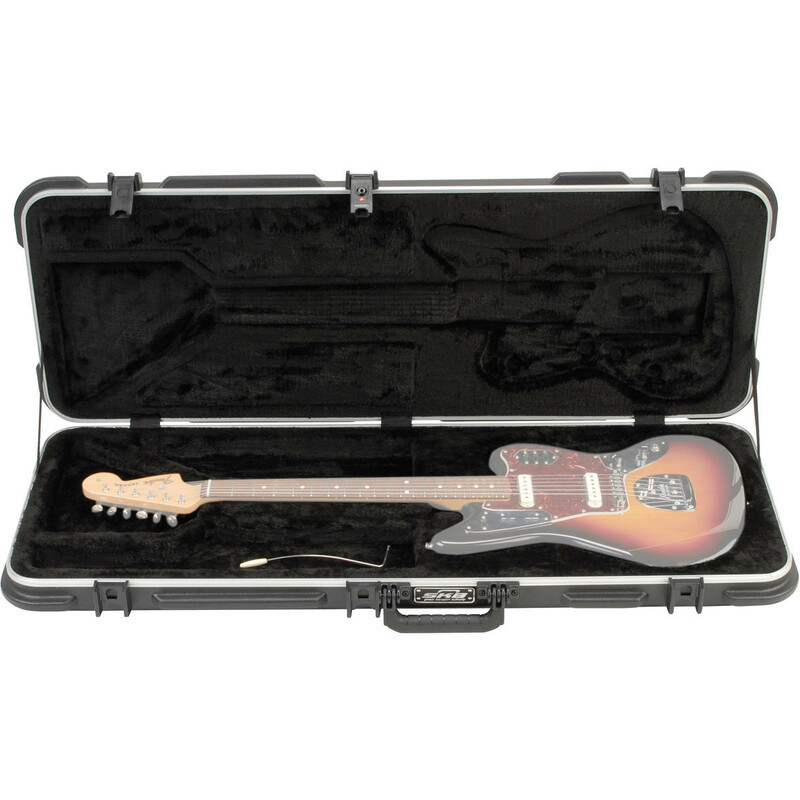 The SKB Shaped Electric Guitar Case is a robust, durable case designed to accommodate the more unique guitar styles. 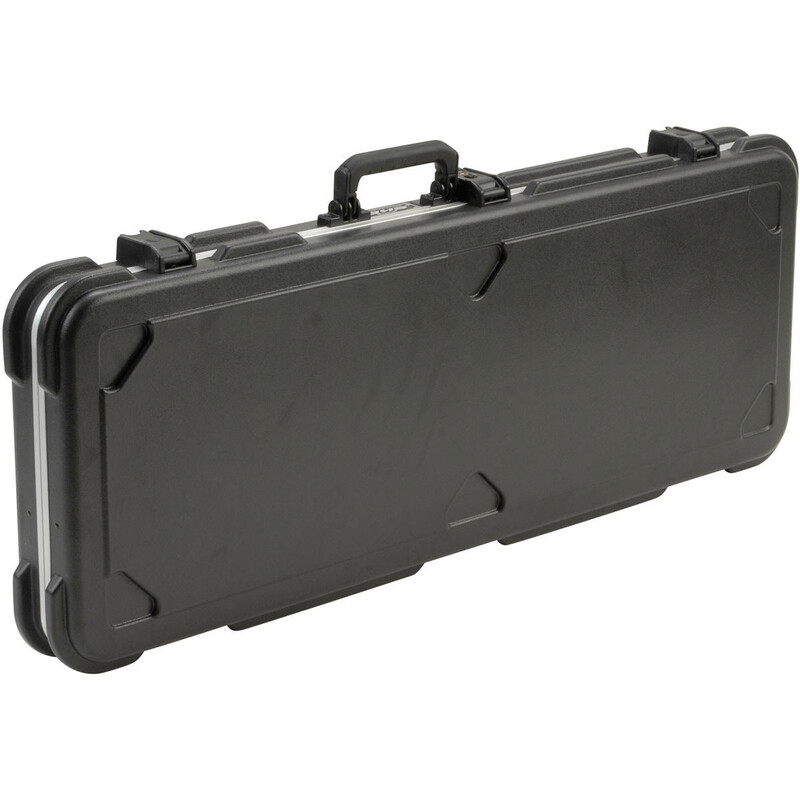 The case is comprised of proprietary rubber-modified styrene that is highly resistant to impact damage. The case also features full neck support and a handy accessories compartment for storing strings and more. The bumper protected valance and custom designed plus foam interior ensure the instrument stays safe and secure at all times. 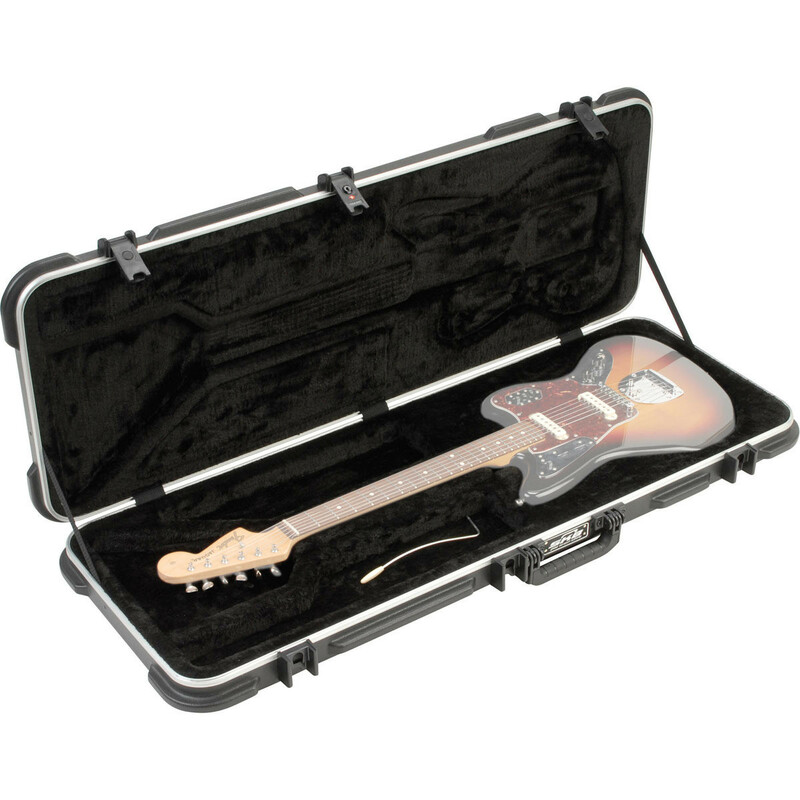 The SKB Shaped Electric Guitar Case is a highly-durable transport case designed to accommodate the more unique style of guitars. 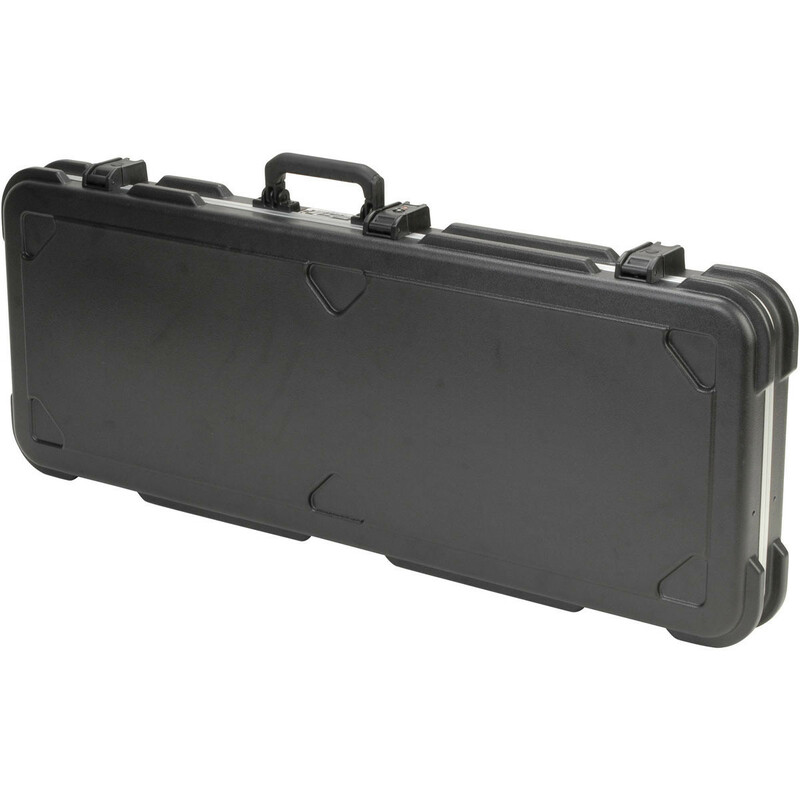 The case is constructed from a proprietary rubber-modified styrene that is highly durable and impact-resistant. In addition the case features TSA recognised and approved locks meaning you can easily pass through airport security without having to open your case. The inside features an EPS plush-line interior designed to securely hold your instrument in place and avoid against any superficial damage such as scratches and scrapes. The outside features a cushioned rubber over-moulded handle and moulded-in feet for ease of transportation. There are also stacking wells featured on the exterior for added convenience when transporting multiple cases and a handy accessories compartment for storing strings, tuners and more.